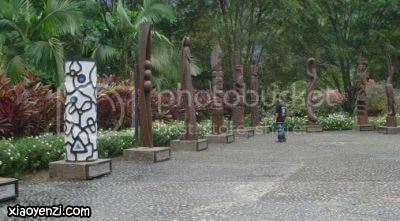 These are some photos that I took during my visit to the Sarawak Cultural Village. I’ve filtered them and made a slide show. Please enjoy. 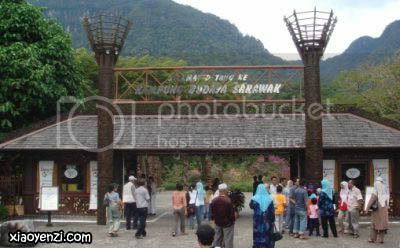 Sarawak Cultural Village (SCV) is a tourism spot that MUST NOT be missed if you happen to pay a visit to Kuching, Sarawak. It is an award-winning “living museum” that depicts different races that live in Sarawak, all in one spot. SCV is located about 30 to 45 minutes away from Kuching city. The Sarawak Cultural Village and Heritage Centre – “The LIVING MUSEUM“.The various ethnic groups are shown in their respective traditional habitat where skilled craftsmen produce handicrafts and experts perform traditional activities and games just as their forefathers did before them. Go through the heady colours and sounds of the diverse Cultures of Sarawak all at one stop, set on a 17-acre site, nestled on the foothill of the Legendary Gunung (Mount) Santubong with the South China Sea right infront. Walk right in and let yourself go. And then walk away with a MOST PLEASANT AND UNFORGETTABLE EXPERIENCE. So there is a lot of Rumah (house) which represent habitants of different races in Sarawak. 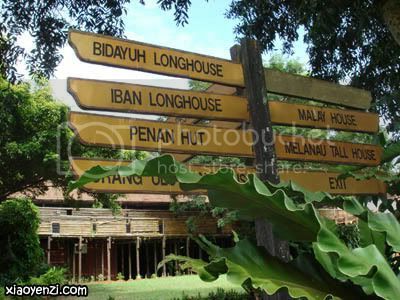 Here is a signboard of telling the directions of each Rumah. For more information, you can visit the SCV website. Further reviews about my tour to SCV will be revealed in my next post entry.